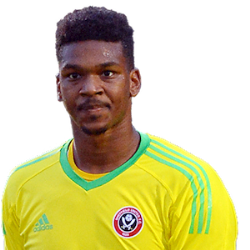 EFL Championship club Sheffield United have announced that Manchester United striker James Wilson and Chelsea goalkeeper Jamal Blackman have both returned to their parent clubs after a loan spell at The Blades. Wilson joined Sheffield United on loan for the remainder of the season on January 10, 2018, while Blackman was snapped up on a season-long loan in July 2017. The two players have been left out of Sheffield United's match day squad for the last game of the regular season against Bristol City this afternoon. A former England U16, U17 and U19 international, Blackman has yet to make his first team debut for Chelsea and previously enjoyed loan spells at östersunds FK, Wycombe Wanderers and Middlesbrough FC. Wilson, 22, has been on the books of Manchester United for sixteen years, rising through the ranks before making his first-team debut for the Old Trafford outfit against Hull City in May 2014. Sheffield United occupy the 11th position in the Championship standings after 45 games.